You know when you catch a movie late and it's so good you can't help but shout, "Why did no one TELL me about this?" Well we're not letting that happen with The One I Love. We loved this film and you should watch it because it's delightful, dark scifi. The reason we didn't really hear much about The One I Love probably had something to do with the fact that everyone was super spoiler protective regarding the movie, and that's OK. That's more than OK; it's understandable. Most critics didn't want to ruin the film—good for them. However, the thing that's so wildly wonderful about this super low-budget scifi indie got lost in the secrecy. So we're going to spoil a bit of the movie right here, right now. If you don't want to be spoiled, then just take our blind recommendation of this film and go see it unmarred by spoilers. Note that if we're recommending it, there's probably a little weirdness, and that's a good thing. For the rest of you, here's a light spoiler that reveals the basic premise. The movie follows a troubled couple as they head away for the weekend in an attempt to rekindle the magic their troubled relationship has extinguished. On recommendation of their therapist, Ethan (Mark Duplass) and Sophie (Elisabeth Moss) head to a fancy home with a guest house. And it's the guest house that causes all the commotion. You see, when one member of this couple enters the guest house, they are met by a doppelgänger of their spouse. A seemingly perfect doppelgänger. Luckily for the audience, Sophie and Ethan decide to "go with it." The results are amazing. And that's the beginning of the big twist. Of course things get infinitely more complicated and much darker, but the premise is simple. A couple is presented with a slightly perfect version of each other separately and we get to watch them grapple with that reality. And not the scifi reality of "How did this happen? "—that's not important. The good stuff happens when the couple decides to set arbitrary ground rules as to what they can (and cannot) do with their dopple-spouse, and then begin to wildly disregard all the promises they made to each other. Things unwind rapidly and you're forced to dissect the dark underbelly of a troubled relationship handed that strangest out ever. What's alright when it's just a projection of yourself? Or is it? What does it say about my relationship, about myself, or about the way my spouse views me? And, of course, things only unwind further and more aggressively until the whole experiment turns into a chilling and gutting and scary look into the reality of what you're saying when you ask another human, "Do you love me?" Do the facts line up around every corner? No? Is everything nicely explained? Absolutely not. But this movie isn't about how this anomaly happened; it's about ripping apart the inner workings of relationship and watching the victims squirm (or relish in the joy of it all). Even though it sounds complicated, the premise is really simple. The setting doesn't really change. You're either in the guest house or in the main house, and it doesn't really matter, because the whole time you're scanning the screen to watch each character. Memorize each tick. Look for a tell. It's the actors who really made the plot an easier pill to swallow. 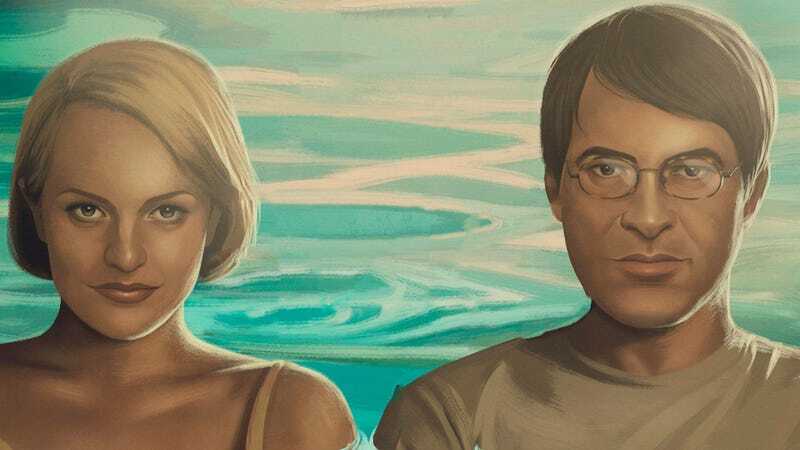 Duplass and Moss change just enough to carry the point home that they are different beings, but don't become twirling evil beard darkest timeline caricatures of themselves. It's the little things you notice, like making a drink for your spouse, flirting, a smile, leaning in with a genuine interest. It really works. This weekend, The One I Love will be released in limited theaters, and if it's not in your neighborhood, you can get it on VOD because it's available RIGHT NOW. Check it out. It's a great drama with a twist of dark scifi that's worth your time.